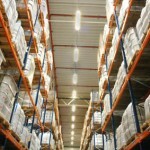 What are the Pallet Racking Standards? 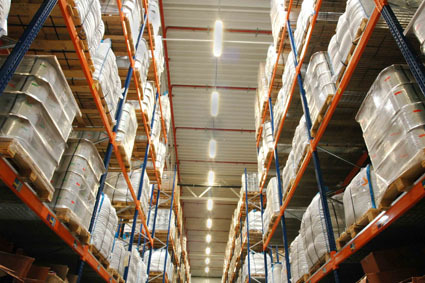 There are no specific Government standards laid down for the manufacture and / or installation of pallet racking. Each manufacturer designs and produces their own system based on their manufacturing capabilit, design standards and patents. All UK manufacturers however are signed up to the SEMA (Storage Equipment Manufacturers Association) Code of Practice which dictates design criteria and also specifically assists and guides contractors in relation to best practice for onsite installation. All pallet racking installations must be fit for purpose and as such are designed to support specific loads over a given area. The racking designer will choose the product depending on the design loads and other criteria available from the client. This, together with information provided by the manufacturers technical support team, will allow the installation to be value engineered and designed fit for purpose with suitable specification of frames, beams and loads considering pallet dimensions and handling criteria. Once the installation has been completed safety load signs would be affixed to the installation by the racking contractor for operational guidance. It is then the operators responsibility to ensure that all personnel working within the new rack system are suitably trained and that regular rack inspections are undertaken to ensure that the installed equipment is maintained to the highest safety standards. Storage Concepts recommends weekly on-site inspections by the client with a six monthly rack inspection by a suitably qualified outside agency. If you would like further information regarding Pallet Racking, please call 01664 410414 or use the contact form here. Storage Concepts – Making Space Work Harder for You.